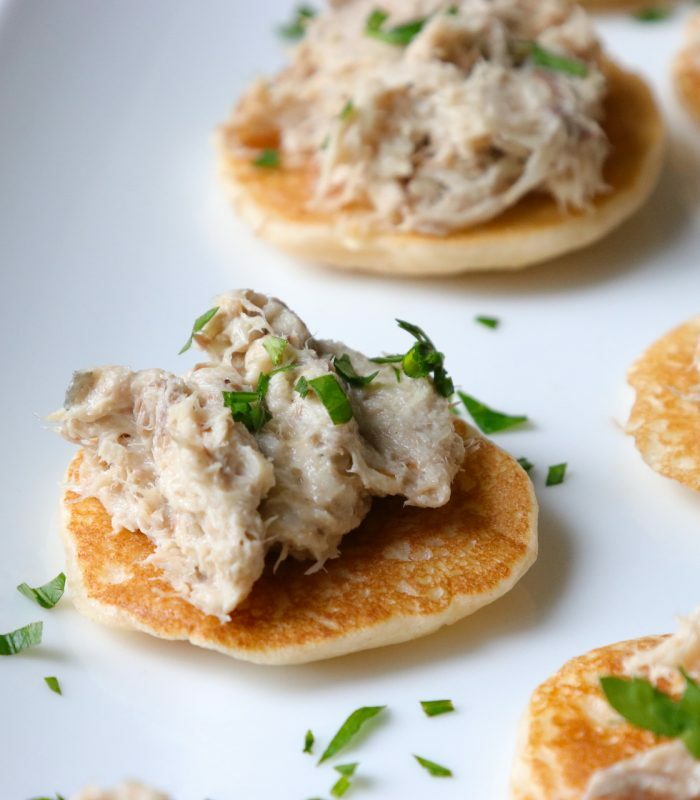 Another ridiculously easy canapé suggestion are these smoked mackerel blinis – the mackerel paté is also delicious on hot toast with beetroot for an easy lunch option. First remove the skins from the mackerel fillets and then add to a bowl and using two forks shred the mackerel meat. You get quite a rustic mix doing it this way, if you prefer to use a food processor you’ll get a smoother paté. Once shredded, mix in the creme fraîche, if you prefer a looser consistency use an extra spoon. Add the lemon, horseradish and season with salt and pepper. 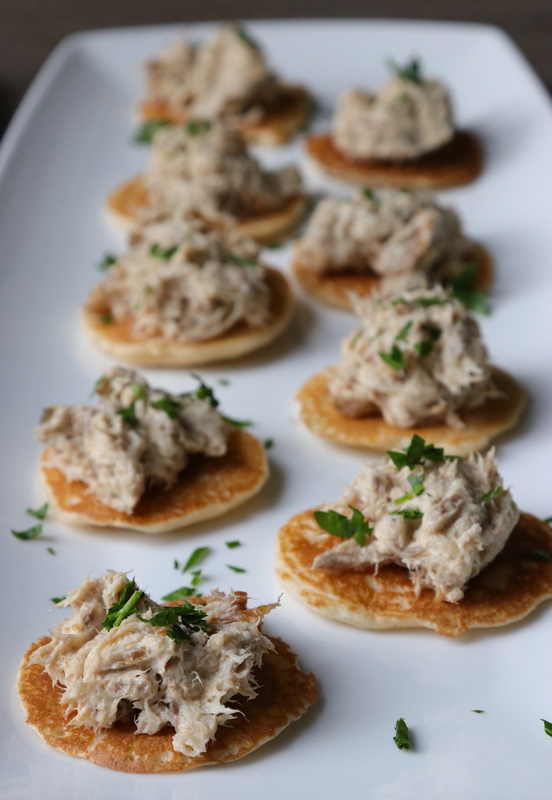 Add a spoonful to each blini and garnish with freshly chopping parsley or coriander. We also like to sprinkle with cayenne pepper for a bit extra bite.